How the world’s first Smokerlyzer® monitor can help you quit smoking. World No Tobacco Day falls on May 31st every year and encourages smokers to abstain from tobacco for at least 24 hours as a start to kicking the habit. It also aims to raise more awareness of the dangers surrounding tobacco consumption and smoking; statistics published earlier in March from the World Health Organization (WHO) revealed that tobacco use is directly responsible for over 6 million deaths a year, but even more shockingly, a further 890,000 deaths are those of non-smokers being exposed to second-hand smoke. Whilst there are many methods to help people quit smoking, many studies have shown that carbon monoxide (CO) monitoring has proven to be very effective in monitoring and encouraging a person’s quit attempt and this World Tobacco Day you have the chance to win a personal CO monitor. A study by Beard and West on the effectiveness of personal carbon monoxide monitoring, found that 7/10 people “felt as though the monitors had reduced their cigarette consumption” whilst 6/10 smokers “reported a lower nicotine dependency… over the 6 weeks, there appeared to be a significant decline in the number of cigarettes smoked per day”. The iCO™ is the world’s first Smokerlyzer® CO monitor that connects to your smartphone/tablet. Small, sleek and portable, this personal CO monitor enables you to monitor your CO levels, track your progress and share your results; simply download the app and be motivated to quit smoking, anytime, anywhere. 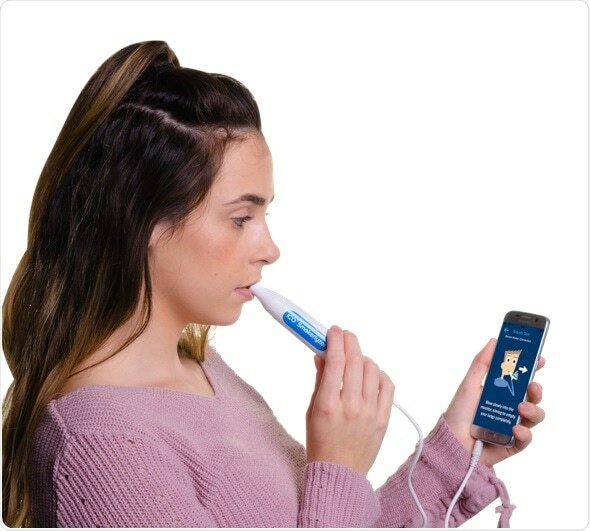 Through a simple, non-invasive breath test this monitor measures the harmful levels of CO in the blood caused by smoking; the more you smoke, the higher the reading but as you start your quit attempt, you can track your readings as they fall.